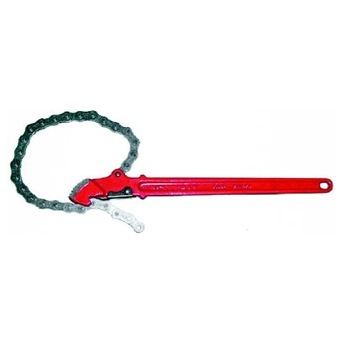 All drop-forged, heavy-duty pipe wrench with safety chain stopper. Suitable for use on round, hexagon, square and irregular shape objects and in awkward corners. All drop-forged, heavy-duty pipe wrench with safety chain stopper. Suitable for use on round, hexagon, square and irregular shape objects and in awkward corners.